I’ll start by setting the scene a little: the year is 1979, and The Buggles are topping the charts across the world with Video Killed The Radio Star. The lyrics are still ones which ring true now, discussing how technology is changing, how it affects us and how it will affect future generations. I’ve always found the choice of ‘radio’ as the dead technology bizarre here: considering we’re told to ‘put down the blame on VCR’, a now largely dead piece of equipment. The lyrics feel strange for reasons beyond the fact they should probably be updated to ‘Netflix killed the DVD star’. For me, it’s because radio is still very much alive, both in my mind and in my car. If I could, I would sit and listen to the radio all day, every day. Yes, I have my favourites, and not-so favourites. I find myself swinging between BBC Radio 2 and Radio 6 Music, essentially on the basis of whether I have a DAB in ear’s reach or not. I’m at the same time too old for Radio 1, and not sufficiently intellectual for Radio 4. I am in equal parts fascinated and horrified by radio advertising; on the one hand I impatiently find there to be too much of it, on the other I so wish I was privy to the marketing meetings that felt these jingles were going to sell products. For me, the radio is my main source of music discovery. It guides the listener in a way that Spotify and such never could. Through radio, I’ve found new favourites, both from recent times and… not so recent times. That comes from both daily shows, weekly shows, and one-off specials. Turns out I really like listening to Gilles Peterson’s world music show on a Saturday afternoon, and whilst it’s not necessarily a genre I would pursue outside of radio, when I get to listen to those three hours, it couldn’t be more enjoyable. And while Radio 6 Music undoubtedly remains my station of choice, my love of radio extends beyond that of music. There’s a reason why if I find myself free at 10:30 of a morning, I’ll frantically message around my fellow radio-loving friends to see who is up for playing Popmaster, Radio 2’s (admittedly music-based) daily quiz section. There’s a reason that I’ll always try and be making my way home in the evening at around 5:40, because I defy anyone to not find themselves crying with laughter at Simon Mayo’s daily listener Confessions. There’s a reason I’ve just taught myself how to change a fuse in a plug, because whilst my radio alarm clock was broken, and I wasn’t being woken up to the dulcet tones of Shaun Keaveny’s Middle Aged Shout Outs, getting out of bed was just that little bit harder in the morning. I suppose the question left is why is radio supposedly on the way out? According to latest listening figures, radio on the whole has an immense 90% reach, with an average listen per head of 19.1 hours per day. 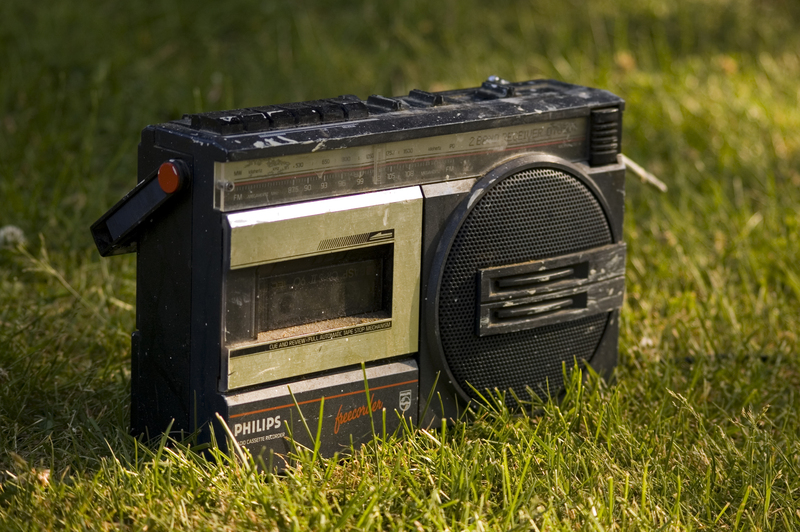 Radio has succeeded in adapting to modern technologies, with the majority of shows using things like social media massively to their advantage. Rather than anything really ‘killing the radio star’, rather the radio star has taken it onboard and used it to their advantage; the aforementioned Popmaster is regularly at the top of Twitter’s trending list during it’s broadcast. Perhaps, as a concept it is considered ‘old-fashioned’. But then if you think about the recent vinyl revival, that argument feels quite redundant. Whilst we now consume radio content in a different way to when it was first common place, the point remains that we are still consuming it.